Lectron is one of the most respected names in drag racing. 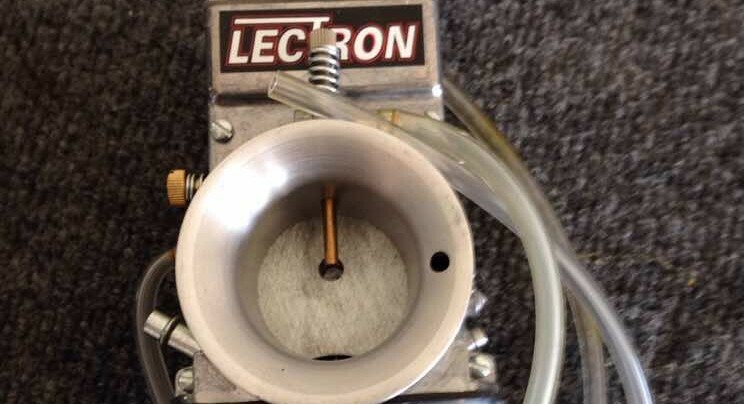 If you are interested in trying a Lectron carburetor for an off-road application, please check out the information and reviews below. Patented meting rod that adjusts for elevation and atmospheric conditions and temperature. I reside in CO. I just recently purchased a Carb from you guys to install onto my 2006 YZ125 bored to 167. I also purchased some fuel line, adjuster tool and a throttle cable. The carb by the way is amazing. works wonders. i can easily do 65+ miles on 2 gallons of fuel riding 10,000 ft – MichaeI Alosio. I was shocked and amazed how the bike ran. Without having to make any adjustments that bike ran better than I ever dreamed. I raced the lectron hard all last year without as much as a hickup and can safely say its the single best improvement I’ve been able to make to my bike hands down. The initial factory setup was almost perfect right out of the box. With the lectron all it takes is an easy twist of the fuel rod or a twist of the power jet to fine tune it and the bike was screaming smooth power! I noticed immediately the bike had better response across the entire power band as well as more power, smoother power delivery, and significantly better mileage. 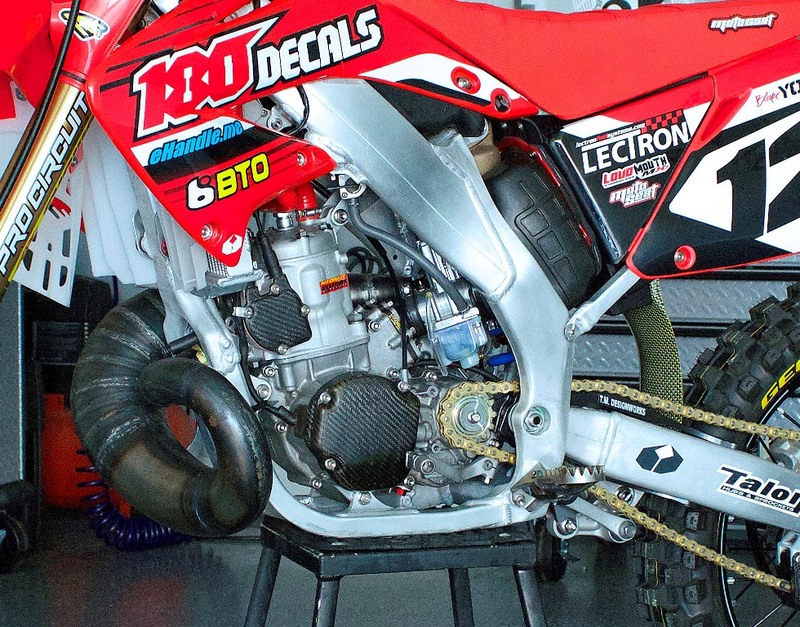 I race Hare Scrambles and endurance races where all of these benefits help win races! I have friends who have liked my lectron so much they bought there own and are now believers and realize the great benefits of running this setup. The best thing is even a novice or trail rider can have a perfectly jetted carb all the time without ever needing to mess with jets. You guys make a great product keep up the good work! –Eric Tjelmeland, Solon Iowa, Husqvarna Wr300 and a Husqvarna Cr165 big bore. I just wanted to send you an email to sum up my experience with my lectron. I purchased this in the spring and the difference was impressive as soon as I bolted it on the bike. The factory carb had a dead spot right off idle and always seemed to flatten out towards the upper rpm range, the lectron had neither of these. I attended the Adv Westfest in Gunnison, Colorado this August. I left N.E. Oklahoma on the 2nd and returned home on the 10th. After 915 miles and about 7000 feet elevation difference I made it to Gunnison. While there I rode several passes (Cinnamon, Ohio, Cumberland, Schofield and Engineer. . . Maybe a couple others I’m forgetting). Elevation at my house is roughly 785, Engineer is roughly 12,800 feet, The lectron ran amazingly (even though I had been cranking on the power valve a couple weeks earlier due to an unknown air leak in the intake boot). After returning the power valve to about 3/8ths of a turn out I had smooth, reliable power from idle to wot. The low end pulled like a tractor and it just kept making power, I couldn’t be happier! I won’t hesitate to suggest lectron to anyone. The customer service is absolutely the best, bar none. Thanks for a great product from an amazing company! My opinion – OMG!!!!!! I had that CV carb dialed in perfectly with a FMF Snap, and it was just sick compared to the way it is now. The throttle response is the way it should be, wack and your tire spins. Wack in third, tire spins. Bloody brilliant!!! It was the easiest carb to install that I have worked on. I had the carb, pipe, and silencer in, plus cutting the air box in just under three hours and that was with the “help” of my seven yr old son. The carb came set up from Lectron to the specs that I gave them – my elevation and mods, it is is spot on. I have just had to play a bit with the idle and air screw because our temperature and humidity is so moody up here, but I am totally confidant I will get it to a happy spot. The next test I want to do with it is to see how it handles elevation, I live at 500 meters and want to hit the alpine at 1600 meters if I can this weekend. Then a rip to the ocean to test the sea level side of things is in order too. I have never ridden a DRZ with the FCR but I installed one on my DR 650 years ago. The pro’s to the Lectron over the FCR for me is the single throttle cable (converts from the push pull) plus the no jetting issue. That metering rod is really cool, basically a poor man’s fuel injection. I am looking forward to testing it over temperature and elevation variations. I ride in the winter here as well, so that will give it a good temperature test. The ease that the Lectron went in was actually kinda insane. Would I buy again?? Hell ya!!!!! Now it’s your turn to join the list of happy customers. installed friday night hit the button on mt xcw 250 …..instant idle ….sat afternoon i tried it at the house left a 50 foot trench behind my neighbors house,today im off to the woods it feels spot on out of the box.